I can’t say I’ve been using Vim from my early Linux days in 1999. In those days I found Vim to be a bit … overwhelming. Not easy to navigate, or configure, not to mention quitting it. So I just stuck with pico or today’s nano and various other IDE’s (see if you recognize any of maintainers names). However, once I did discover everything Vim was capable of, from that day onwards Vim has been my default editor. Hence, for last decade my Vim configuration has only been growing which I would copy over on a new workstations as part of my dotfile backups. I wanted to stop process of deploying my Vim configuration by simply copying over configuration. Also since configuring Vim to this day can still be cumbersome and is prone to errors. I’ve decided to create an installer which will seamlessly setup Vim with configuration I need for my workload. In last 7 days, Ubuntu 18.10 was released followed by release of long awaited Linux kernel 4.19, and last but not least Linus Torvalds is back in drivers seat of Linux development. 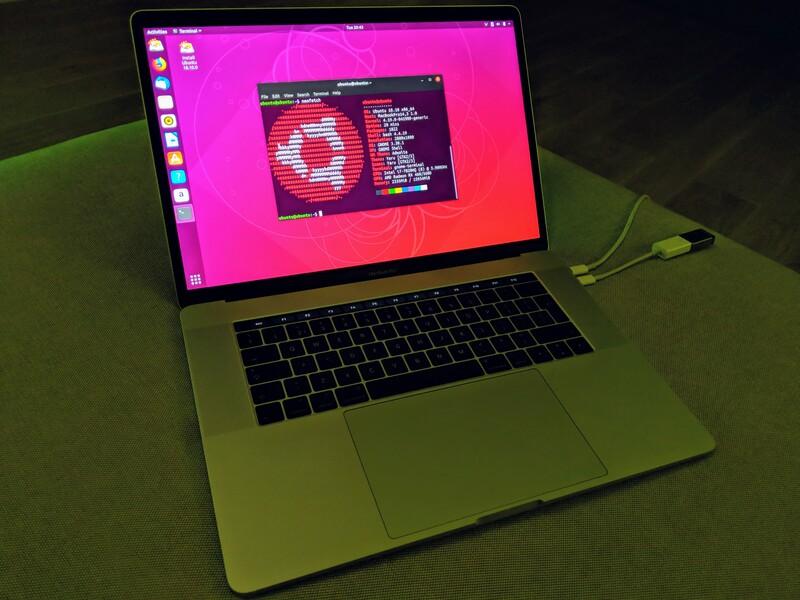 With this said, it was time to revisit how well does Linux work on MacBook Pro. Last remaster I did was done on Ubuntu 18.04 with 4.17.6 kernel, I was so underwhelmed that I didn’t even make an “official release”. I was putting all my hopes in kernel 4.19, so now that it’s here, what’s the situation? 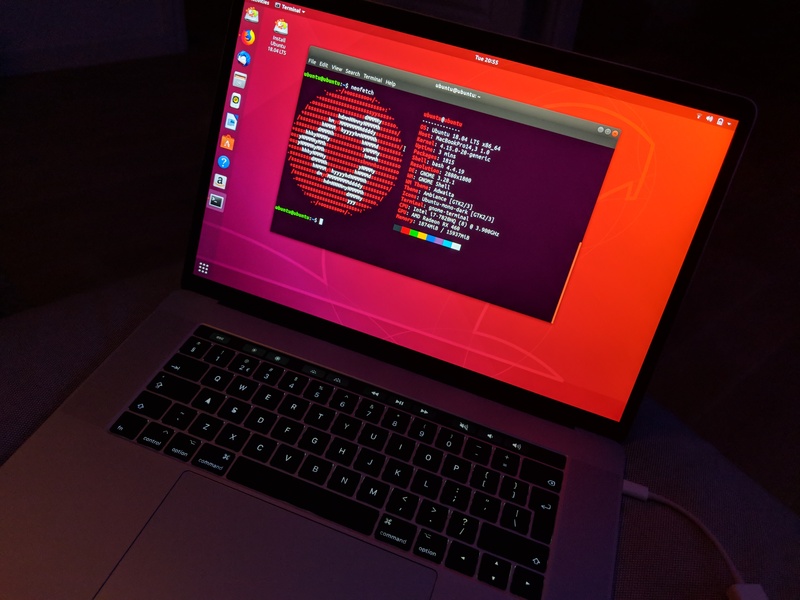 Update: I’ve released a new Ubuntu 18.10 (4.19 Linux kernel) image for MacBook Pro! My post about remastering Ubuntu 18.04 version for MacBook Pro 2017 with Touch Bar working out of box got a lot more attention then I thought it would. This was most notable on Google+ and now I see there are even Reddit posts about it. If you boot Ubuntu on Macbook Pro 2016/2017 edition model with Touch Bar on Ubuntu 18.04. Not a lot will be working out of box. Basically you’ll only get video working, while important components such as keyboard/touchpad/touch bar/WiFi will not be working. From security reasons, over feature requests, to announcement that Chrome 68 will render all HTTP sites as “not secure” in beginning of July … it’s obvious this is where the web is heading and it had to be done. For HTTPS encryption, my obvious choice was Let’s Encrypt which I wrote about in past, so without further ado let’s get right to it. Few months ago I launched containerized-wordpress-project which let’s you “automagically deploy & run containerized WordPress (PHP7 FPM, Nginx, MariaDB)”. In latest update I’ve added support for Let’s Encrypt which allows you to have HTTPS encrypted sites/blogs out of box. I rewrote Nginx container image deployment which now relies on https-portal. Result is updated containerized-wordpress Ansible role whose major updates are to its Docker Compose file as well as deployment of Let’s Encrypt enabled Nginx configs. For existing sites HTTPS integration is seamless, every HTTP link is automatically redirected to its HTTPS counterpart and certificates will be renewed automatically.